Hurricane Harvey dumped thirteen trillion gallons of rain on southeast Texas. That water has since gathered into a massive low-salinity plume on the Texas ocean shelf. Before November, winds may carry some of this runoff to reefs in the Flower Garden Banks National Marine Sanctuary (FGBNMS), triggering mass death or disease in corals and other organisms. 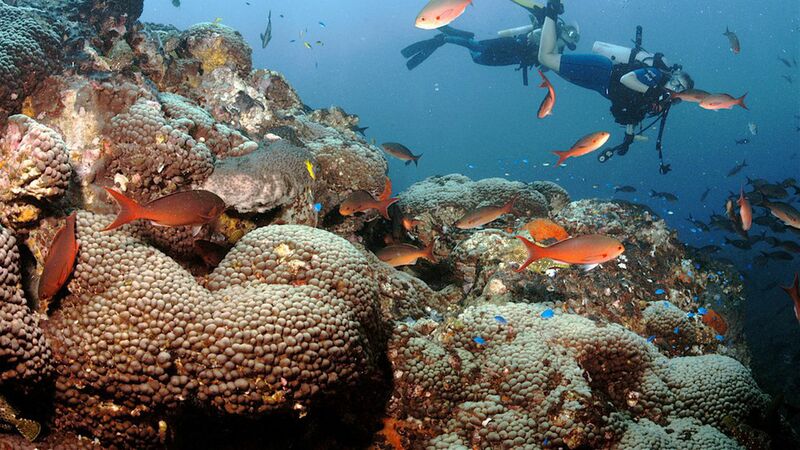 Why it matters: Reefs protect shorelines and support fisheries. We know hurricanes destroy reefs through wave action, but less is known about the impacts of storm-driven runoff. As climate change increases the frequency and severity of such storms, actions to mitigate these effects will be needed. An automated sampling buoy already observed a 10% decline in salinity near the reefs between September 28 and October 4. Scientists do not yet know the impact of this drop, but freshwater runoff was implicated in a previous mass-mortality event on the East Bank following the "Tax Day" floods in April 2016. What's next: A team of scientists will characterize seawater conditions, microbial communities and coral and sponge health at FGBNMS this week to assess Harvey-related impacts.